Any overseas companies that want to enter the Chinese market must have a good understanding of the Chinese market and whether their products have market potential in China before entering the market. For the products' market potential, the corresponding government promotion agencies and terminal distributors have the most say as they have rich experience in product operation and understand what products Chinese farmers need. 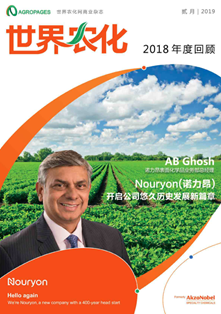 AGROPAGES AWARDS: Agri-Inputs with Incomparable Market Potential in China 2018, is organized by AGROPAGES aiming at helping overseas companies better understand their products' market potential in China for free. The invited judges are from National Agro-Technical Extension and Service Centre of the Ministry of Agriculture and Rural Affairs, as well as top China region distributors, to ensure the awards objective and credible. Below we focus on these review agencies and distributors. China Agro-Technical Extension and Service Centre is the directly affiliated unit of the Ministry of Agriculture and Rural Affairs. It is responsible for China's crop cultivation, soil improvement, scientific fertilization, pest control, safe use of pesticides, and introduction, testing, demonstration and promotion of excellent overseas pesticides and fertilizers in China. China Fertilizer Quality Supervision and Inspection Center is a national laboratory and product quality supervision and inspection agency authorized by China General Administration of Quality Supervision, Inspection and Quarantine. It mainly undertakes the inspection of samples of fertilizers, soil conditioners, plants and soil , as well as the field trial for domestic and foreign fertilizers and soil conditioners. Chinese Academy of Agricultural Sciences is the largest agricultural research institution in China with the largest scale, the most comprehensive discipline, and the strongest research capbility. It is responsible for the major foundations and applied foundations of China's agriculture, applied research and R&D for high-tech industries. 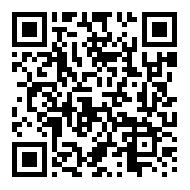 Anhui Huifuqiang Agricultural Science and Technology Co., Ltd.
Anhui Huifuqiang Agricultural Science and Technology Co., Ltd. is a leading agri-inputs distributor in East China. At present, the company has established long-term cooperative partnerships with BASF, FMC, Syngenta and Japanese pesticides companies. The company is also the sales champion with several brands from multinational companies such as Syngenta and BASF in China. Yunnan Tiansui Agricultural Technology Development Co., Ltd.
Yunnan Tiansui Agricultural Technology Development Co., Ltd. is a leading agri-inputs distributor in Yunnan Province. 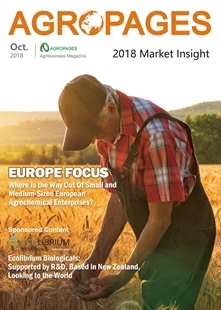 In 2017, the company had pesticides and new type fertilizers sales of over RMB 100 million, creating a marketing miracle in agri-inputs industry in China. The company has nearly 200 employees and about 3,000 terminal retail customers, reaching all parts of Yunnan Province and serving more than 10 million mu of fruits, vegetables, flowers, grapes and herbs. 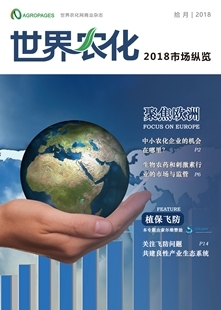 The sales of their insecticide Spinetoram reached almost RMB 30 million, and the sales of two fungicides, i.e. Segway and Frowncide, were about RMB 30 million. Guangdong Justagrotech Co., Ltd. is a leading agri-inputs distributor and agricultural technology educator in South China, and introducing advanced overseas bio-agricultural products into China. Justagrotech also conducts agricultural technology research in the country. The company takes the lead in China to advocate the concept of Crop Health Therapy. 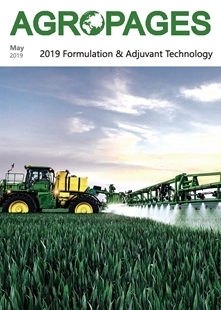 As the company integrates technology application research, education and promotion, it always devotes in developing and promoting cultivation techniques and crop protection products. The company is a partner of some overseas research institutes and enterprises. Since 2006, Justagrotech has co-operated with Valagro and become its general agent in China. Guangdong Tianhe Agricultural Means of Production Co., Ltd.
Guangdong Tianhe Agricultural Means of Production Co., Ltd. is a leading agricultural enterprise in Guangdong Province, and ranks 7th among competitive agri-inputs distributors in China. 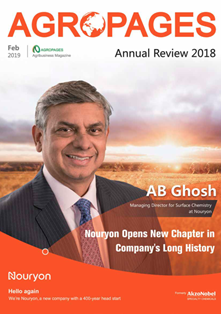 The company has established long-term strategic partnerships with many overseas companies such as Yara International, ICL, Canada Potash Corporation, Syngenta, Corteva (DowDuPont), Bayer, BASF, and FMC. It has more than 60 distribution centers in 15 major agricultural provinces, e.g. Guangdong, Guangxi and Fujian provinces. Beijing Xinhefeng Agrochemical Co., Ltd.
As a pioneer company in China’s novel fertilizer industry, Xinhefeng focuses on crop nutrition, crop protection and soil improvement, and it is the first company to introduce foreign high-quality boron fertilizer into China, as well as many other advanced overseas products including micronutrient, secondary fertilizers, microbial fertilizers and biostimulants. The company has also created brands such as Foliarel 21% B, Hailvsu, Calcium Fertilizers for fruits and vegetables, Kanglifeng and Meiman, which are widely recognized and trusted by Chinese farmers.